This is a genius and elegant solution. At very little cost, this could revolutionize access to clean water around the world! This seems like a no-brainer. Yes, tell people what they are doing at the moment they pause to watch the gas flow into their vehicles. Yes, help them become more aware! We all know about single use plastic bags (or at least I hope!) These are disappearing from circulation in some areas where they’ve been banned. But at home, I know there is great confusion about what kinds of plastic can and can’t be recycle because we still have it all around us. While the best way is to be conscious of what we purchase in the first place, every consumer is confronted with a piece of plastic not knowing whether it is recyclable or not. I found this handy guide. Read and find some peace. Things are getting better. In fact this website is built to answer the questions from consumers as well as manufacturers to help reveal new markets for certain recycled materials and guidance in how to put together a product so that it can become part of the recycling stream, not the waste stream. 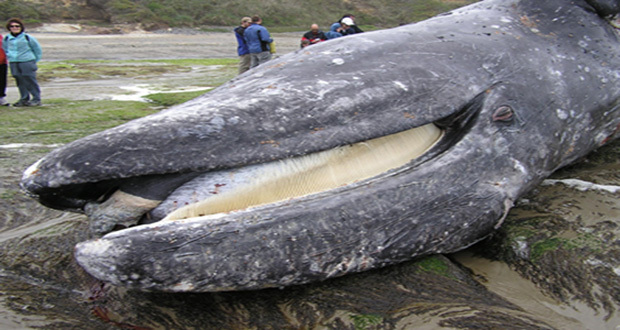 This whale had swallowed 59 different plastic items totaling over 37 pounds. Most of this plastic consisted of transparent sheeting used to build greenhouses in Almeria and Grenada for the purpose of tomatoes for the European market. The rest was plastic bags, nine meters of rope, two stretches of hosepipe, two small flower pots, and a plastic spray canister. Cause of death was intestinal blockage. I’ve been concerned about ocean debris since 2006 when I first started to write about it. Public awareness of this issue is growing and I’ve been able to follow Charles Moore, the Plastiki and various other efforts to explore and mitigate this issue. Most efforts have simply underscored how intractable the problem is and how it is only getting worse. Well I’ve been tipped off that there are a number of other minds at work on this issue and I am happy to showcase two of them today. Banning plastic bags in California was a biggie; it may be that these two programs that hit at the source of the problem may be very big in their own right. One very enterprising young man has taken on a planet-sized project! Just imagine this weeks-long search for the missing Malaysian airliner across thousands of miles of ocean. 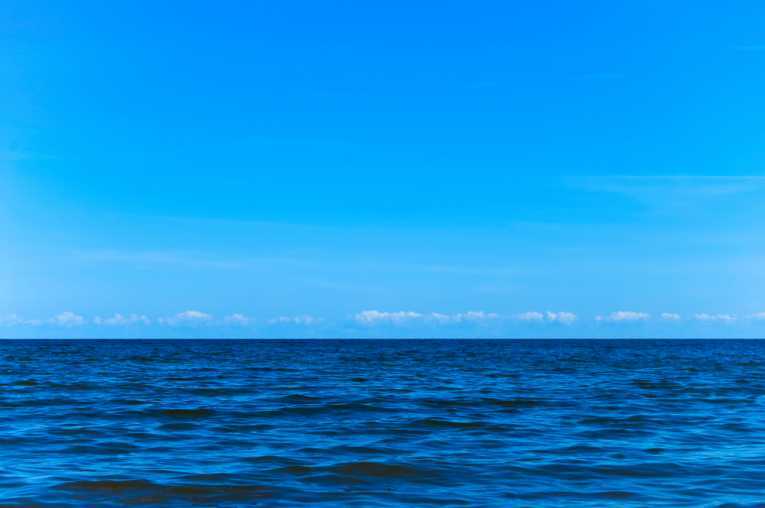 Just the blue sky and the blue water as far as the eye can see. Now the reality. It appears that the search for a broken up 777 airliner, nearly the size of a football field, is hard to pick out of the vastness of this space because there is so much other trash out there!. There is something very profound in this statement, “confounded by the detritus of civilization”, made by the same Charles Moore I’ve written about before (here and here.) He has seen what he speaks about; he has visited known trash areas year after year as part of his research. He has focused generally on the amount of plastic that has been inadvertently washed out to sea from city gutters and beaches. Since this never breaks down into organic matter but rather biodegrades into smaller particles there is now evidence that this plastic is moving through the oceanic food chain from fish and turtles to birds. The trash is more extensive than we can really grasp. This floating plastic breaks down into micropellets that float just beneath the surface and gets swooped up by fish and birds as the bits of color surface and sink again. A large oceanic region called the “Pacific Gyre” or the “Great Pacific Garbage Patch” where moving currents have brought plastic into areas the size of Texas now seems the least of our worries. 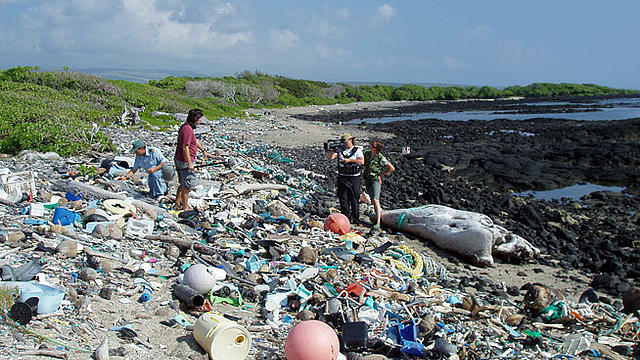 According to the New York Times, there are as many items of trash in our oceans as you can bring yourself to imagine–mattresses, broken up ships, fishing nets, shipping containers–up to 700 per year!–not to mention the estimated 5 million tons of debris that swept into the Pacific following the 2011 tsunami in Japan. I remember a long time ago when the “Keep America Beautiful” campaign would show up on trash cans and billboards and even be advertised on the few channels we had on television. Everyone became aware of trash on our streets, trash cans popped up on every street corner and god forbid if you were caught throwing something out of a car window. This program has taken on new life in many forms but the ethos of it always remains the same–we have to stop dirtying where we live. We need a Make Our Oceans Beautiful campaign. No more excuses. “Out of sight, out of mind” just doesn’t cut it anymore, because now, without a doubt, we know what is out there.